for you and hit Sign up. Want to see how Spreadsheet-To-Map works? Sign up for a 10 day free trial. Limited to 3 map locations. Just need to use Spreadsheet-To-Map once to make a map to show your static location? Do you have a continually growing locations map? 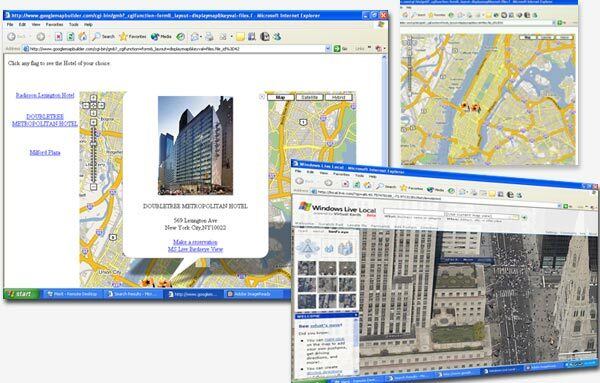 Use Spreadsheet-To-Map	on a regular basis to continually add new locations as your business continues to grow. * Save your settings for next time. Updates are as easy as uploading a new data file and clicking "Build It!" the uploads online? Use Spreadsheet-To-Map's Gold Seal Realtors Package. map configuration, and upload to your site daily, including pictures. A one time set up fee applies, please call for information. It's a DIY tool and there are no set up fees. feel like doing the set up yourself. We're here to help. Also for those seeking a completely automated solution, our programmers can write fully automatic scripts which can get data from an internet location and publish your map to your server automatically.